This is why I avoid the Sushi line at restaurants. Seriously, do you avoid food when you’re not sure of the origin–or even its provenance just before it showed up in front of you? We found this can, along with a lot of others at our local grocery store–on sale–all expired. 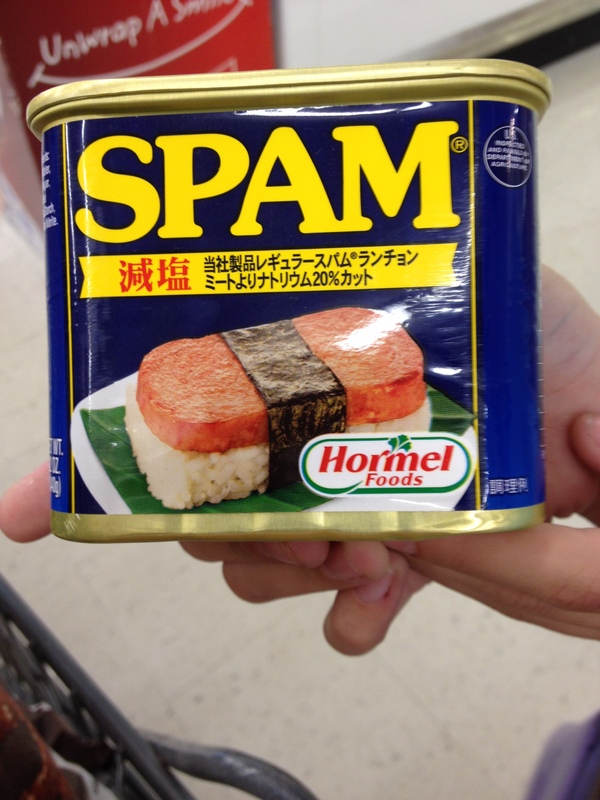 For me, life is full of spam, and I don’t mean the junk mail kind. Full of uncertainty, unknown futures, unexplored consequences. I want the good kind of change in my life, but my fear of the results makes me hesitate. Even worse, my fear of that period before the results gives me the shivers. I don’t know what kind of changes my body or my mind will experience to get to the goal. It’s the journey I fear. (And I call myself an adventurer.) Truly, trusting God and living by faith requires stepping–no, leaping–out of our comfort zones. Free falling. What do I think about most? What do I talk about the most? What do I escape to? It’s not that the journey is meant to be painful, it’s just that sometimes the unknown is a feast, when we’re used to Spam.